ONTUR: Vineyards situated at altitudes of between 400 and 700 metres above sea level. 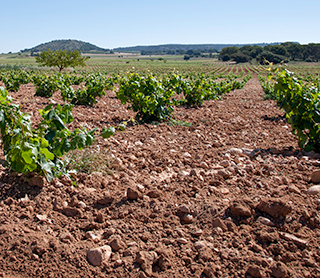 These are calcareous and clay soils, interspersed with sandy areas. They are soils with a reduced organic content, which provide our vineyards with the optimum conditions for growth and development of grape cultivation. CHINCHILLA: Vineyards situated at altitudes between 700 to 900 metres above sea level. These are heavy loam soils with little organic content. Cultivation in this area provides wines with a strong character and a unique personality. 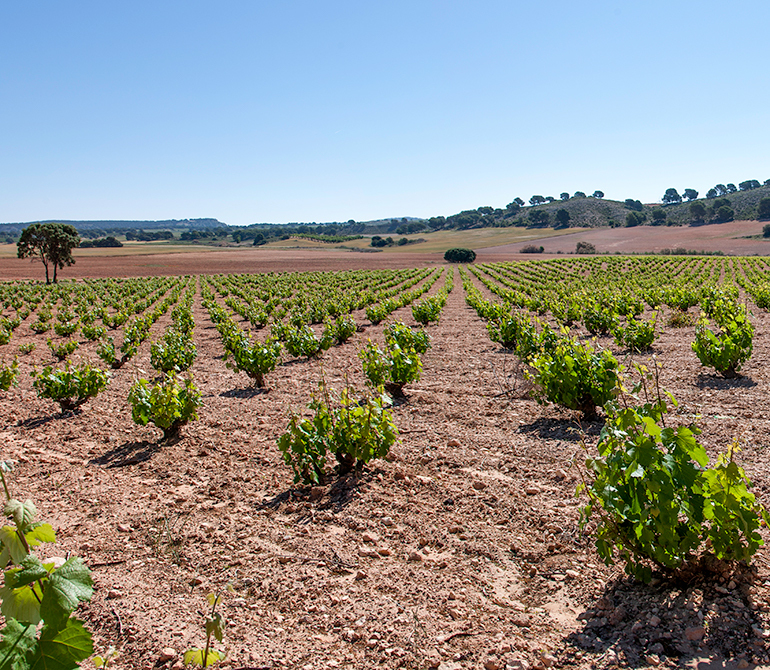 POZO CAÑADA: These vineyards are located in an area between 800 to 900 metres above sea level. The soils are calcareous and clay, and cultivation provides grapes and wines with an indigenous character. CASA LAS MONJAS: Sandy, calcareous soils situated between 800 and 900 metres above sea level. Grape cultivation in this area gives us highly expressive wines of unique character. 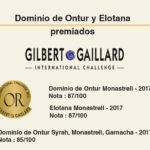 MIZQUITILLAS: A location containing old vineyards with reduced production and wines of exclusive character, large personality and high expression. 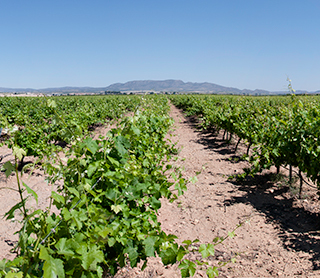 ELCHE DE LA SIERRA: Vineyards situated at a height of 900 metres above sea level. The soils are sandy and limestone. The vineyards are of average production with excellent quality wines. 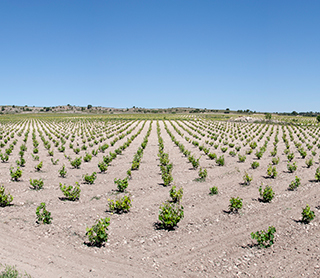 ELCHE DE LA SIERRA: Vineyards located at a height of 900 meters above sea level. The soils are sandy and silt. It is a middle of vineyards and wine production of excellent quality. ALBATANA: Vineyards located at an altitude of some 550 and 700 metres. Calcareous and loamy soils that are very poor in organic materials. Albatana is one of the largest plantations of ungrafted root stock in the Spanish Levante region. Ontalba is located in the villages of Ontur and of Albatana, this being an ideal area for growing grapes: with calcareous and clay-loam soils; a characteristic microclimate of winters and summers without extremes of temperature, giving the grapes continuous growing time without metabolic variations. All these factors result in wines which are characterised by the soils, with a well-defined and unique profile which, combined with advanced manufacturing techniques, allow the wines to pass on the oenological potential of the grapes from which they are made.